1 – Freedom trainer: two adjustable arms with pulley cables that move up and down and left and right. 2 – Hip abduction and adduction: this machine isolates the inner and outer thighs. 3 – Leg press: targets the hamstrings, quads and gluteus maximus. 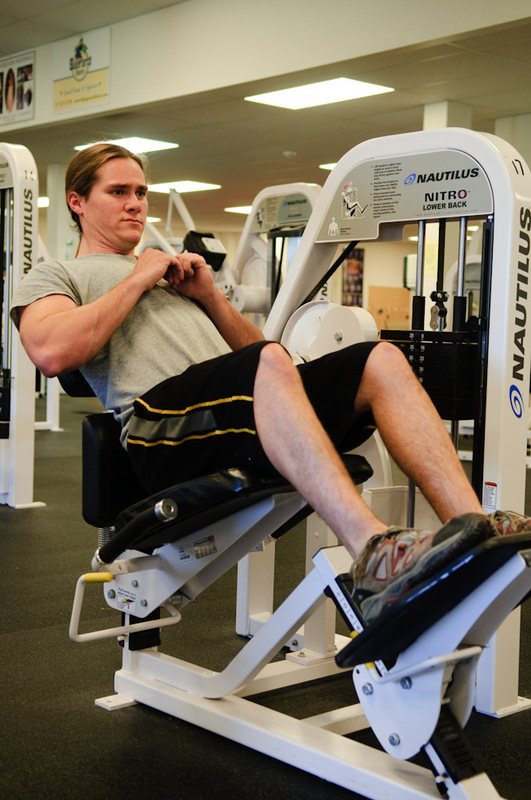 4 – Leg curl: a Paramount machine that targets the hamstrings and calves. 5 – Leg extension: effectively targets the quadriceps. 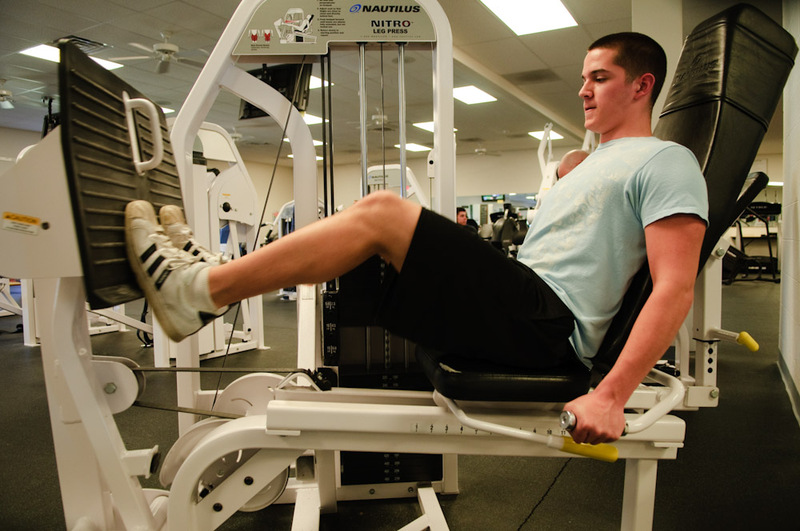 6 – Leg extension: a Paramount machine that targets the quadriceps. 7 – Bent over calf raises: isolates the calves. 8 – Shoulder/military press: this Pacific machine targets the shoulder region. 9 – Lat pulldown: besides targeting the main muscle, the latissimus dorsi, the grips rotate to target the biceps and triceps at the user’s discretion. 10 – Compound row: this machine mainly targets the rhomboids, and, like the lat pulldown, the grips rotate to target the biceps and triceps. 11 – Overhead press: along with targeting the shoulder region this effective machine also targets the upper chest area. 12 – Pec fly/rear delt: a 2 for 1 deal here. This machine targets both the chest and the back. Great for posture! 13 and 14 – Pullover: one of the best Nautilus machines in the building. This machine targets almost every muscle in the back and also will hit the abs and triceps. 15 – Pec fly: this machine will get that all important serratus muscle that is hard to target! 16 – Rotary torso: a difficult exercise to feel but will help tone up those love handles! 18 – Abdominal crunch: the absolute best abdominal machine, very effective and isolates the abs very efficiently. 19 – Ab chair: not only can you work on your abs on this machine, you can do dips and 3 different kinds of pull-ups. 20 – Back extension: isolate your lower back. 21 – Roman sit-up: target your abs with these traditional declined sit-ups. 22 – Bicep curls: this machine isolates your biceps. 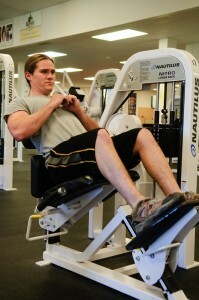 23 – V-triceps extensions: this is a seated triceps machine that targets your triceps very well. 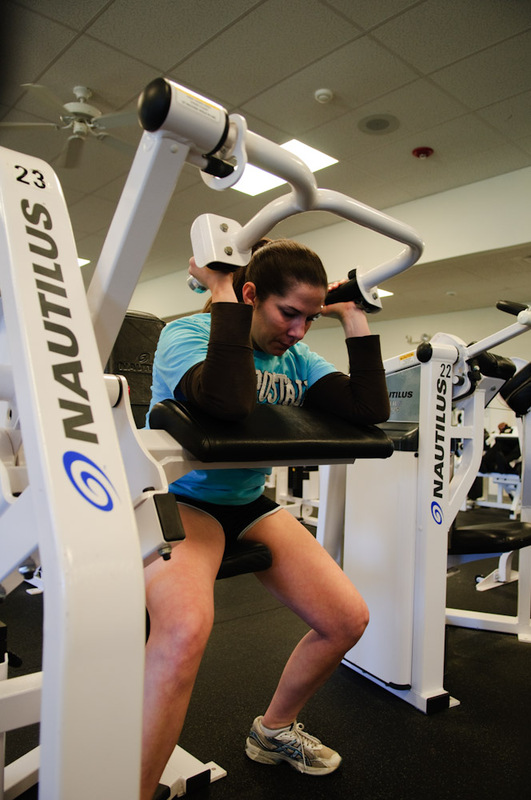 25 – Nautilus pulley towers: an adjustable machine to do a number of different exercises. C/1 – Lat pull down: wide grip or narrow targets the latissimus dorsi muscle and rhomboids. C/2 – Assisted pull: ups: wide, over and narrow grips allow you a wide range of choices to target different muscle groups. The assisted weight allows you to subtract your body weight to add in those important last few repetitions. C/3 – Low pull: mainly targets the rhomboids but you may change the grips to target different parts of your back and arms. C/4 and C/8 – A pulley system: allows you to use the top and the bottom to do cable crossovers, triceps pushdowns, bicep curls, etc. C/5 – Triceps pullover: isolates the triceps. C/6 – Preacher curls: targets the biceps over a pad for better isolation. C/7 – Triceps pushdown: isolates your triceps by pushing down past your hips.